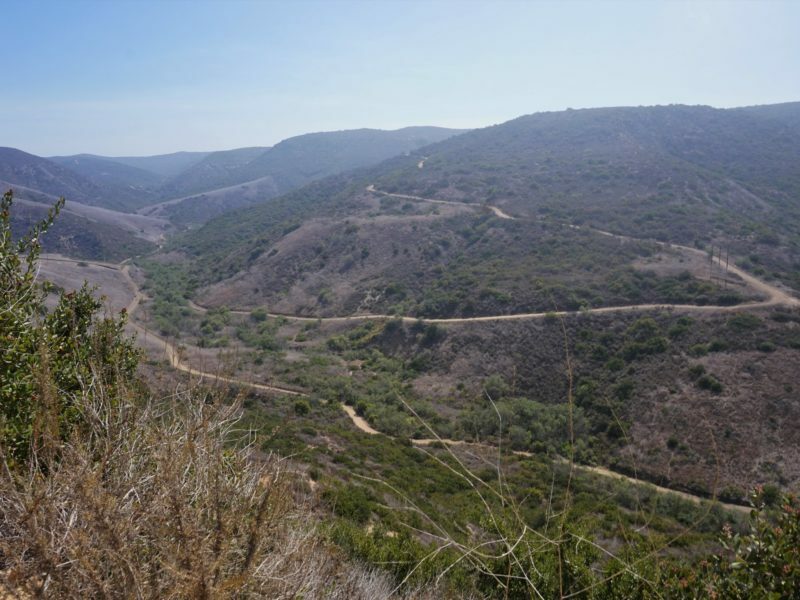 El Moro Loop is a great tour of all that inland Crystal Cove has to offer. If you start from the Visitor Center, you can learn about the local plants and wildlife and apply that knowledge during your hike. The hike begins on mostly flat terrain, then a slight downhill to the canyon trail. Follow the canyon trail to the second trail on the right (large fire trail). This will have a more gradual uphill to the ridgeline, where you will turn right towards the ocean (with spectacular views). The downhill on this side is somewhat steep, but still manageable while babywearing or using a stroller. This trail can be used with an off-trail stroller, just keep in mind it will be more strenuous. 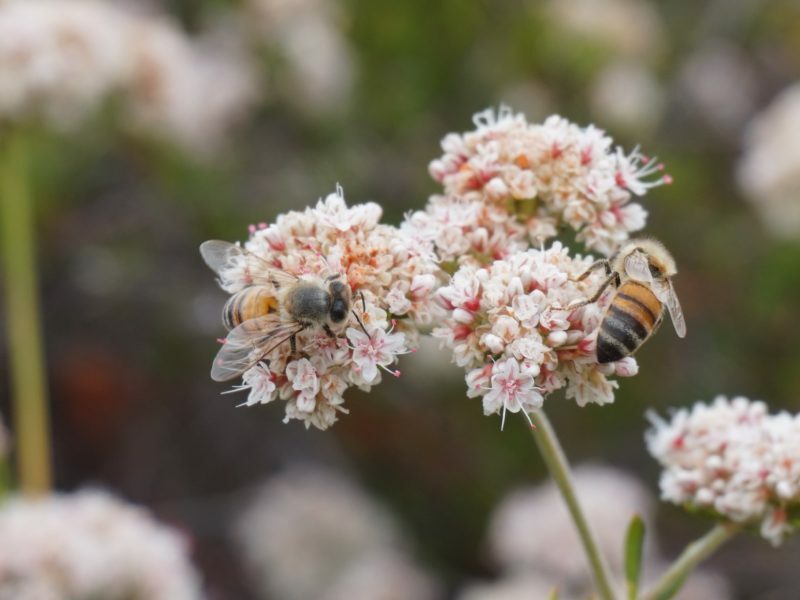 Hike the best of inland Crystal Cove, from the green canyons to the open ridgelines. 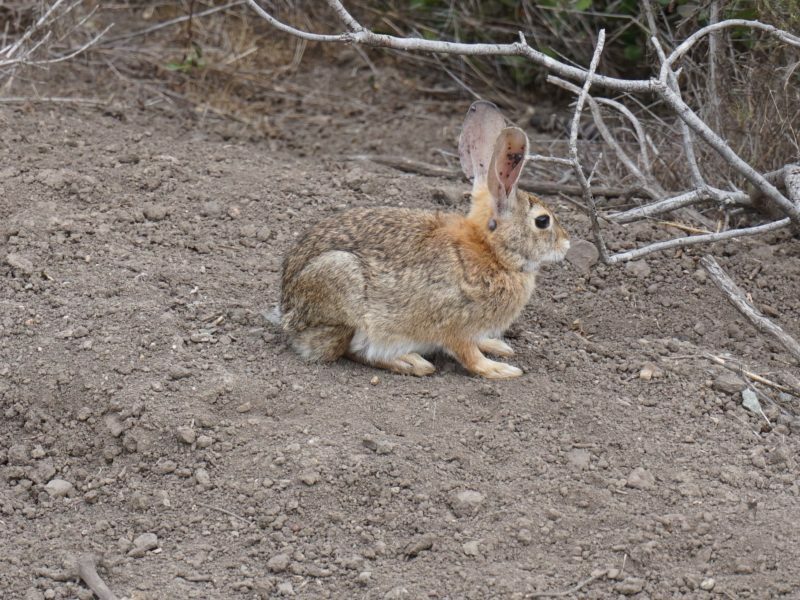 Great place to see wildlife, especially rabbits. 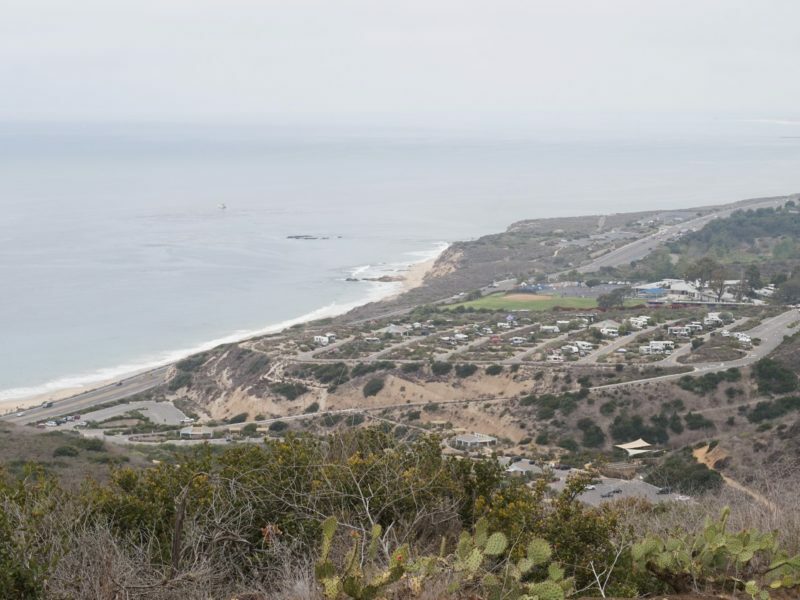 Gorgeous views of the hills and ocean areas of Crystal Cove. 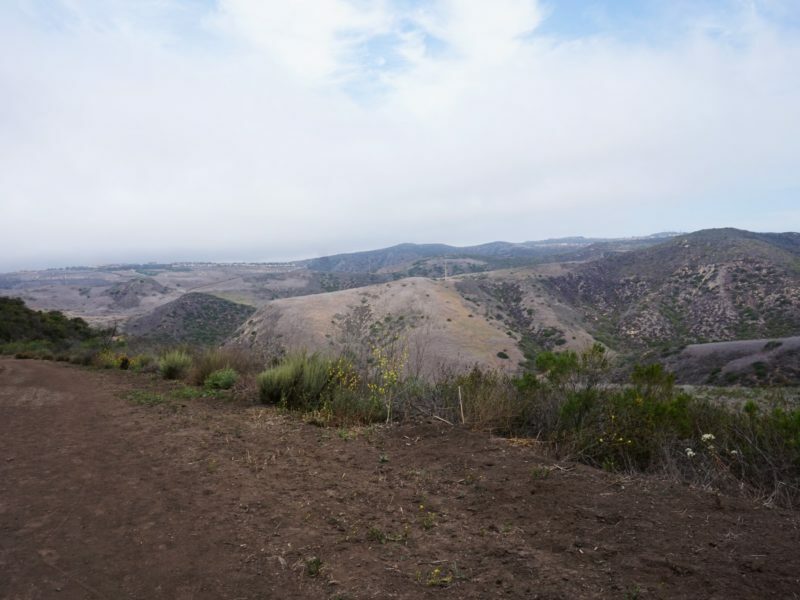 For the El Moro Canyon Loop trail, you will want to start at the Visitor Center parking lot. You can also make the hike 1 mile shorter if you park/start at the far parking lot closer to the Michael & Tricia Berns Environmental Study Loop. 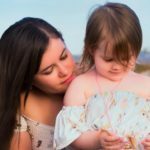 My name is Nicole Dominick, and I’ve been hiking with Hike it Baby since May 2016 with my daughter. She is now 3 years old and has hiked over 400 miles! She has been carried for most of those miles, but we enjoy every journey. We were both born and raised in Southern CA but recently moved to Colorado Springs, CO. 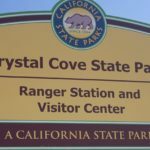 The Visitor Center parking lot can be accessed from School State Park Rd off of Pacific Coast Hwy (on the left if coming from Newport Beach, on the right if coming from Laguna Beach). El Moro Elementary School is at the corner.